What is private labeled Spring Water? 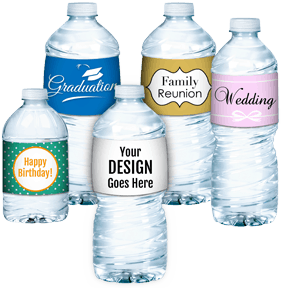 Customized label spring water refers to bottled spring water with a label that has been custom-designed for a specific event, company, organization, or customer. 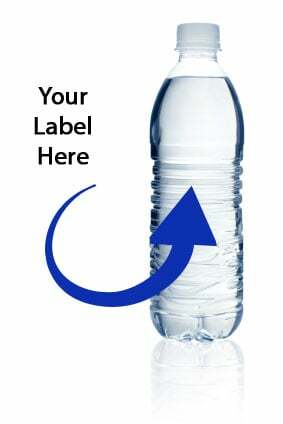 Why use Ripp Distributing for your custom label? We use artists that walk the customer through the design process, which is included in the cost of the water, if provided on PDF files. Otherwise charges will apply. The bottling plant is certified by the IBWA and NSF to guarantee quality of product and sanitation. We use natural spring water bottled in Chippewa Falls, WI. Warehousing can be arranged for larger orders. What sizes bottles are available? Our average turnaround time takes about 3 to 4 weeks once artwork is approved by the customer.